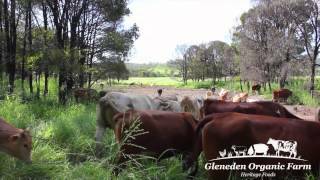 Rohan, Fiona, Eden and Jethro Morris invite you to come and discover Gleneden Family Farm. 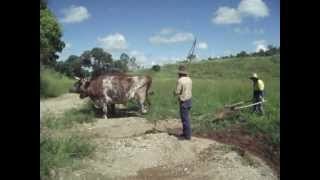 Fourth and fifth generation farmers, the Morris family have recreated a traditional mixed farm, fusing Australian pioneering skills with their ethical and regenerative farming system. 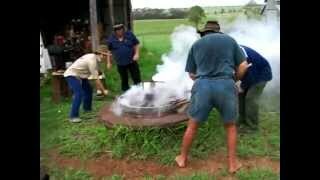 Farmer Rohan and his family offer heritage displays, farm tours, bushwalks, workshops and bushcamping. Visitors can purchase delicious, organically produced pastured pork, beef and lamb at the Farm Shop. 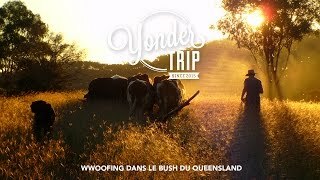 Located just 1.5 hours from Brisbane, Gleneden offers bus tours, groups, schools, campers and day visitors a unique, historical and authentic farm experience. 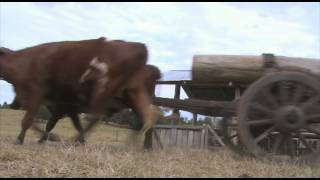 Take a trip back to the Australian pioneering days and see one of the last bullockies and his team hauling logs and loading wagons. Learn bush blacksmithing, leatherwork and timberwork skills, or take a ‘Walk in the Woodland’. On a Gleneden farm tour, visitors explore the permaculture garden, meet the happy pigs, cows, sheep, chickens and goats out in the paddocks and learn about regenerative, organic farming. Bush camping is available at the quiet and picturesque creekside and hilltop campsites. Campers can join in the farm chores or relax by the waterfall. All tour/heritage activities are interactive and designed to suit each groups’ interests and abilities. Bookings essential. Child $5 - $12.50 Camping - AUD5 Child per night. Saturday display afternoon - AUD12.50. Other activities - AUD12.50 per hour. Under five years of age are free. Indicative Prices $15 - $25 Camping - AUD15 Adult per night. Heritage Display/Farm Tour (two hours) - AUD25, Minimum numbers apply. Morning and afternoon Billy Tea and Damper available on request. External Heritage Display Bookings available on request.